The Children’s Book Project builds literacy by bringing free books to children who need them since 1992. More served in 2018 than ever before! Happy holidays, everyone! As we reflect on 2018, we’re grateful for all our supporters who made the year such a success. In 2018, we gave away 136,252 books to 1,541 visitors who work with tens of thousands of under-resourced children in Northern California; 835 businesses, schools, community groups, and individuals organized book drives, hosted book bag stands, and donated more than 157,000 books; and our dedicated volunteers gave well over 900 hours to counting and sorting all those free books and serving all our visitors. Your ongoing support helps us build equity of access to high-quality, high-interest books and literacy for all children in the San Francisco Bay Area and beyond. Thank you for a wonderful year! The San Francisco Mayor’s Office of Housing and the SF Unified School District are redeveloping our book site location as teacher housing. 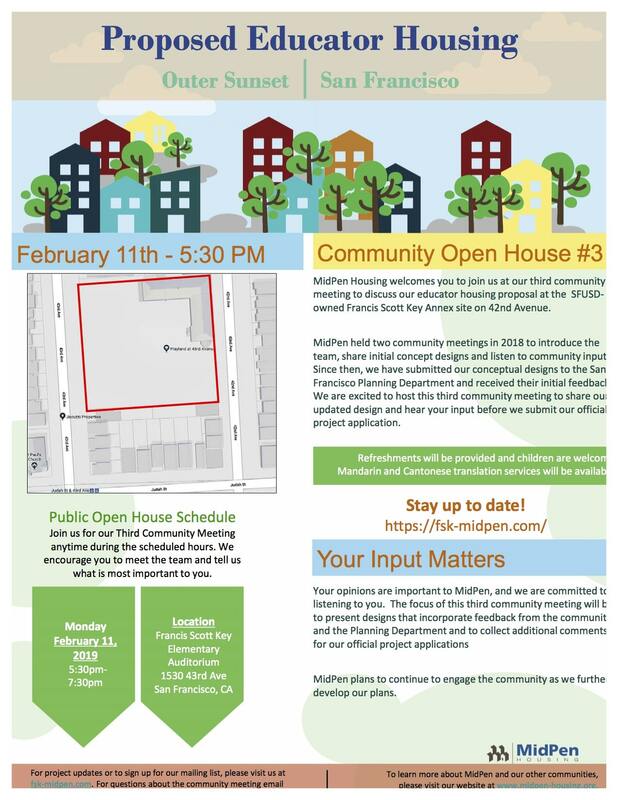 Project developer MidPen Housing submitted their plans to the San Francisco Planning Department on March 12, 2019, with environmental review of the proposal to follow. Planning approvals take about 18 months, and in that time MidPen will continue to develop the design and keep the community up to date at their Project Updates page. location in San Francisco, ideally in the Bayview, Dogpatch, Western Addition, or Outer Mission. Yes, we’re open for our limited hours listed below, including Memorial Day, May 27! reopening on Monday, July 8 for our limited hours, including the SECOND Saturday, July 13. Please DO NOT drop off book donations during our closure! I’m writing to express my deep appreciation: The Children’s Book Project is an essential component to my reading program, allowing me to establish a great set of leveled books for small group reading instruction AND to present two books per week to my students to add to their home libraries—over 400 books distributed this year! I have Kindergarten students reading at a second grade level and recent immigrants reading at grade level. 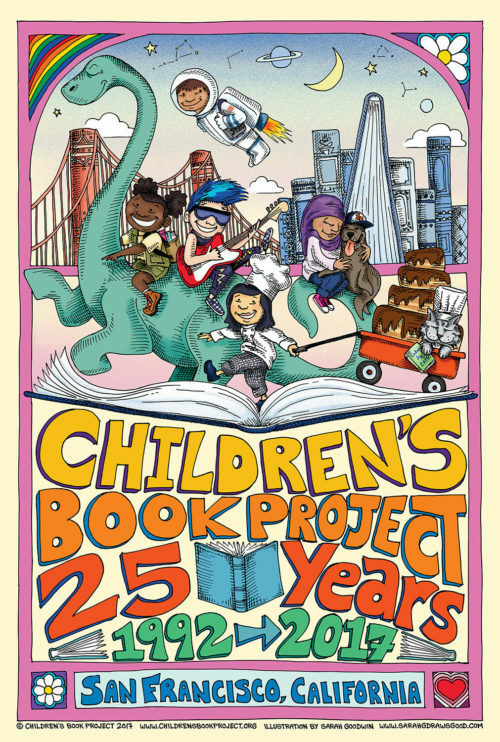 The Children’s Book Project is an important part of Bay Area education. Thank you! Keep going strong. I believe in you! Thank you for the books! Our future relies on the education of our children. Thank you, Children’s Book Project, for uniting local community leaders that are committed to promoting literacy amongst our youth. Brianna L.
Children under 18 are not allowed at our book site.